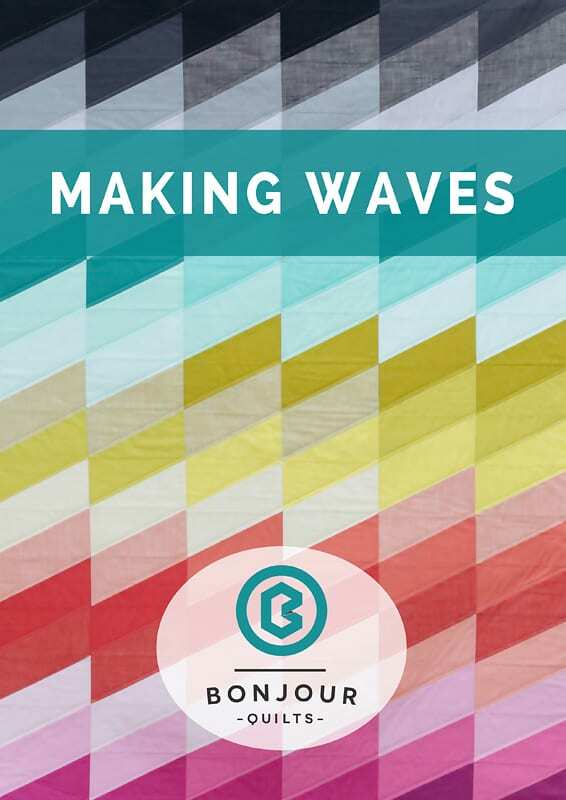 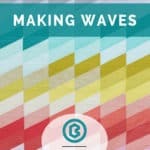 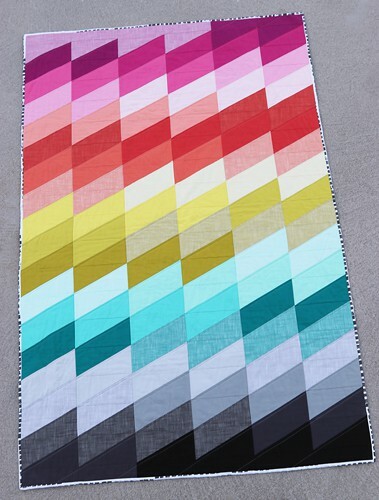 Making Waves is an email-delivered PDF quilt pattern for a throw sized quilt finishing 42″ x 63″. 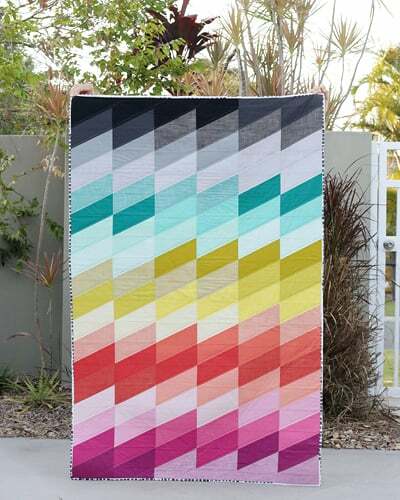 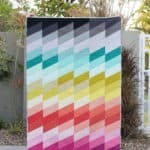 This quilt uses Half Rectangle Triangles (HRTs) to create waves of 5 different color groups across the quilt. 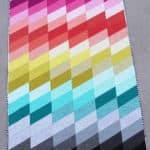 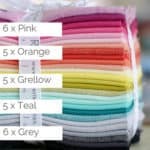 The HRTs in this pattern can be trimmed with the large Bloc_Loc HRT ruler, however the ruler is not mandatory – I show you how to trim the HRT blocks with a normal quilting ruler.